All Haines homes currently listed for sale in Haines as of 04/20/2019 are shown below. You can change the search criteria at any time by pressing the 'Change Search' button below. If you have any questions or you would like more information about any Haines homes for sale or other Haines real estate, please contact us and one of our knowledgeable Haines REALTORS® would be pleased to assist you. "Located in the heart of Baker County, 47 Ranch offers the lifestyle of your childhood. Near renowned Baker City, known for its small city awards for livability, biking, Anthony Lakes Ski Resort & more. Stunning custom, luxurious timber-frame inspired home. Views of Elkhorn & Wallowa Mtns & Baker Valley. Open concept w/25' vaulted ceilings, gourmet kitchen, opulent main-level master, spacious studio apt on lower level, and MORE!" "Private Mountain retreat with Custom Lindal Cedar Home on 40 acres in the Elkhorn Mountains. 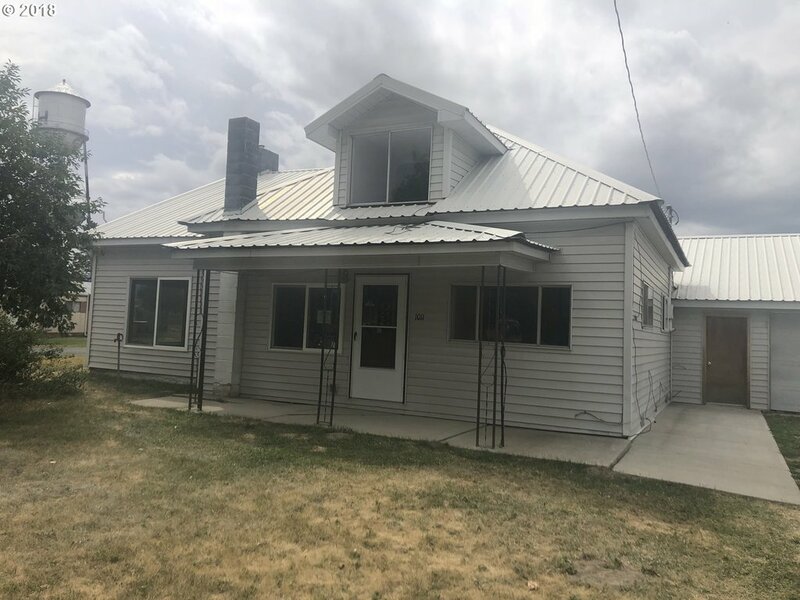 This is a rare find and offers unique amenities, year around creek, landscaped lawn with sprinkler system, attached 2 car garage, detached 2 car garage and shop area with upper guest quarters, another 2 car detached garage with shop area, fuel shed, storage building, covered boat storage, covered bridge & covered RV parking, plus more." "Productive irrigated farm ground with manufactured home, barn and other outbuildings. Currently in alfalfa but is also suitable for potatoes or mint. 156 acres +/-"
"Beautiful irrigated farm available for sale at the base of the Elkhorn Mountains. Panoramic views of the mountains and surrounding valley. 80 acres +/- with water rights and year round creek. Remodeled and updated farmhouse with great views from the windows. Large barn with vehicle parking spaces and roll up doors for easy access." "This spacious 2814 m/l sq.ft. home features 4 bdrm/2.5 baths with ample natural light.A 2001 addition updates this wonderful country home with extraordinary views of Baker Valley.The 13 acre property is fenced and cross fenced with flood irrigated pasture & pond ideal for your animals.It features a barn,RV parking & outbuilding. Don't miss out on this beautiful home located off the main road in a spectacular setting." "This 1988 Manufactured Home is located on a corner lot within the city of Haines, OR. A 1352 square foot 2 bedroom, 2 bath cozy home has a fireplace to keep warm as well as a forced air electric furnace. A front porch to relax on those warm summer days and nights. A 900 square foot, 2 car detached garage with plenty of space to park or create the perfect workshop. Lot size in total is 150x100 m/l." "Updated home on 3 commercial/residential lots in Haines, OR. Home features 2 bedrooms and 2 bathrooms, enclosed front porch, monitor oil heat and pellet stove. There is a large attached shop area, 1 car detached garage, outbuilding, landscaped yard and garden area." "Opportunity of the year! Large corner lot property, new carpet, flooring, paint throughout entire home, kitchen has new counter tops. Quiet country charm, view of the Elkhorn Mountains. Call today to schedule a showing!"